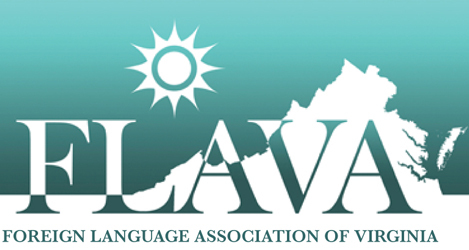 FLAVA's fourth Spring Mini-Conference, themed Power Up with WORLD LANGUAGES, will be held Saturday April 13, 2019 on the campus of Washington & Lee University in Lexington, VA (check in at Elrod Commons, 204 W Washington St, Lexington, VA 24450). Please use this form to register for the conference. There is no deadline for registration. However, if you wish to have continental breakfast and lunch included as part of your registration package, you will need to register by 11:59 PM on March 30, 2019. If you register after this date, your registration will not include breakfast or lunch. The regular cost of registration is $40. Full-time college student registration is also available for $20. Please note: Any person with a disability who needs special accommodations to fully participate in the conference must notify the association at least eight weeks in advance of the conference start date. This notification should include a written description of the accommodations needed and should be sent to president@flavaweb.org. FLAVA will make every attempt to meet your needs within the limitations of the association's resources. Items with an asterisk(*) must be completed. If you would like a different name than the one entered above to appear your conference badge, please enter it here. Please enter the other language(s) you teach. Please select the level(s) of education you work in. Check all that apply. Please indicate which level of conference registration you would like to purchase. Please select whether you will pay for your own registration, or if your school/business/someone else will pay for your registration. Checks should be made payable to FLAVA or Foreign Language Association of Virginia. The cost of registration is $40. Upon completion of this form, you will receive your registration confirmation number; please include this confirmation number on the memo line of your check. Money orders should be made payable to FLAVA or Foreign Language Association of Virginia. The cost of registration is $40. Upon completion of this form, you will receive your registration confirmation number; please include this confirmation number on the memo line of your money order. Please enter the following information for the person from your school or business who will be paying for your registration. This person will receive a copy of your registration confirmation with instructions on how to pay for your registration. If you need an invoice sent to the person paying for your registration, please select "Yes, I need an invoice." You will also receive a copy of the invoice PDF. Please enter the address that should appear on the invoice. This will appear below the name of the School/Business Affiliation entered above. When you have completed the registration form, please click "Submit Registration" to complete the registration process.